WordPress WooCommerce Marketplace USPS Shipping module provides USPS (United States Postal Service) Shipping method to the customers. USPS shipping service calculates the shipping rates according to the seller’s product weight, seller’s origin address, and the delivery location. Using this module, the sellers can provide convenient and affordable shipping service to their customers. The USPS shipping services ship the products to more than 180 different countries all over the world. Note: WordPress WooCommerce Marketplace USPS Shipping is an add-on of WordPress WooCommerce Multi-Vendor Marketplace Plugin. To use this plugin you must have installed first WordPress WooCommerce Multi-Vendor Marketplace Plugin. 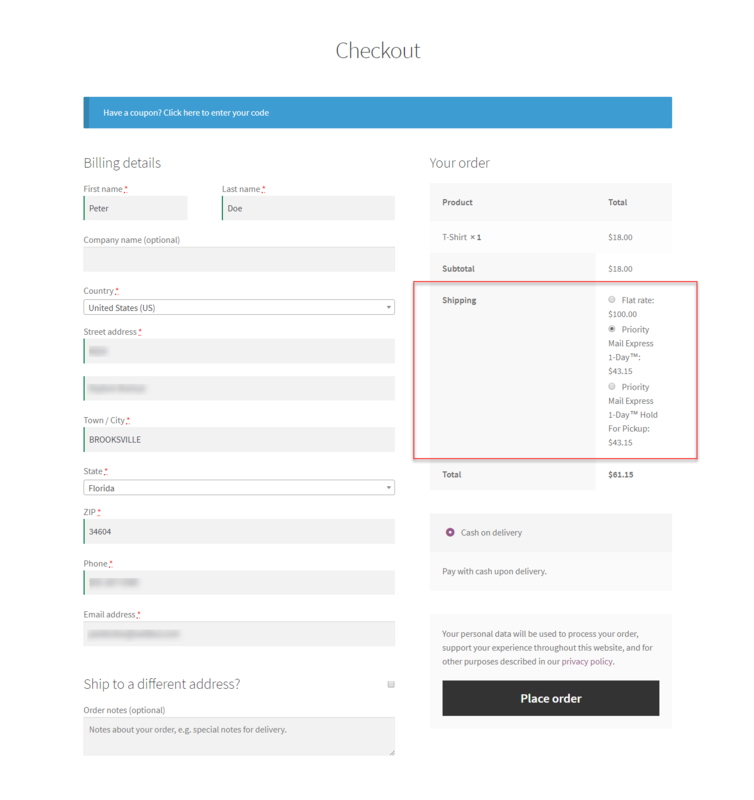 The admin can select allowed shipping methods to display on checkout. 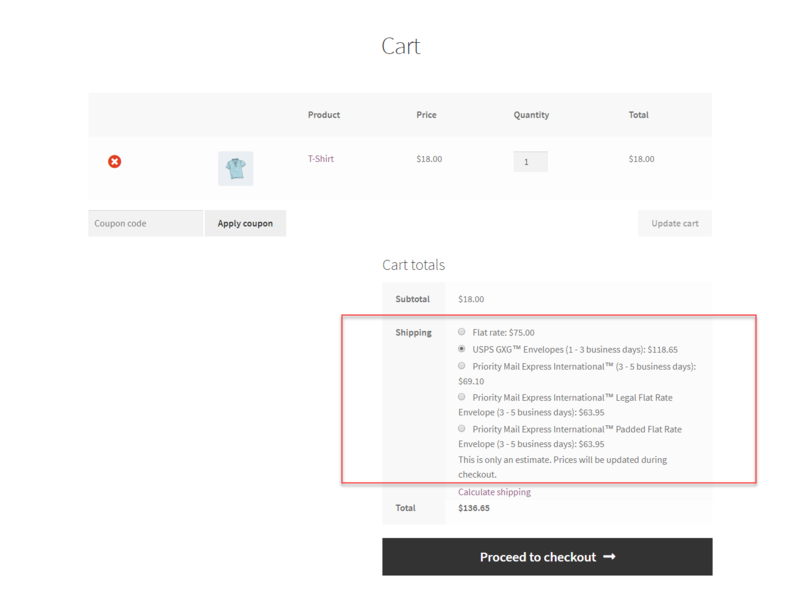 The seller also can select allowed shipping methods for their products to be enabled on checkout. The admin can mention container size as regular or large. How to create USPS Shipping account? 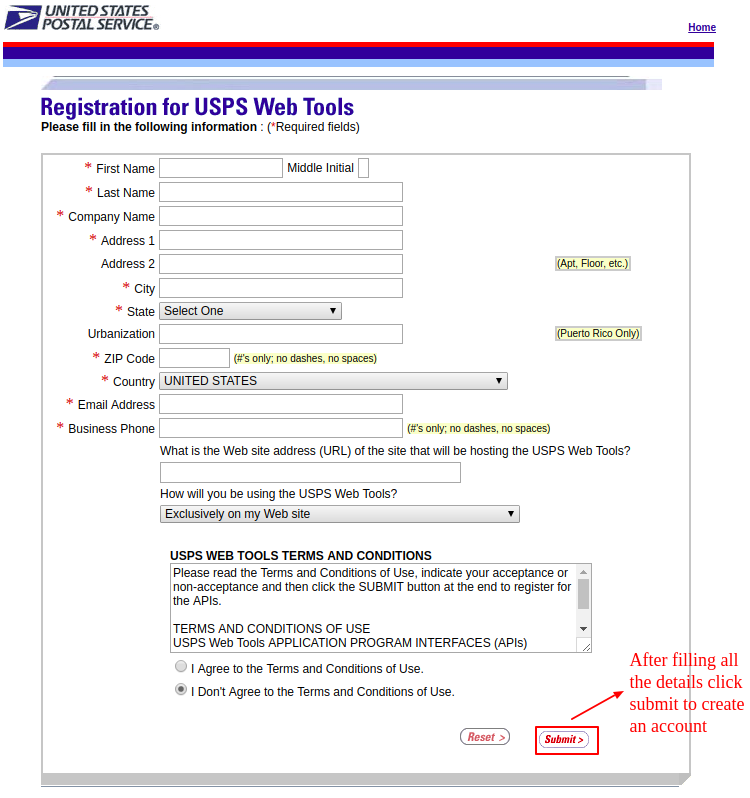 The user must create a USPS Shipping Account before configuring the shipping method. After creating an account the user will get a mail with all the details like User ID, Password, link to the USPS test server. After submitting the form successfully, the user will see a confirmation message as shown in the image below. 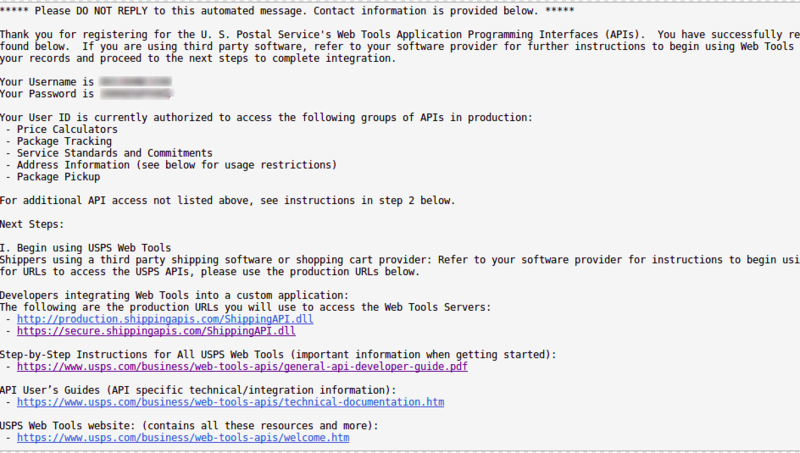 Now the user will get an email with all the credentials to access the USPS server as shown in the image below. After the installation, the admin can easily configure the module settings. 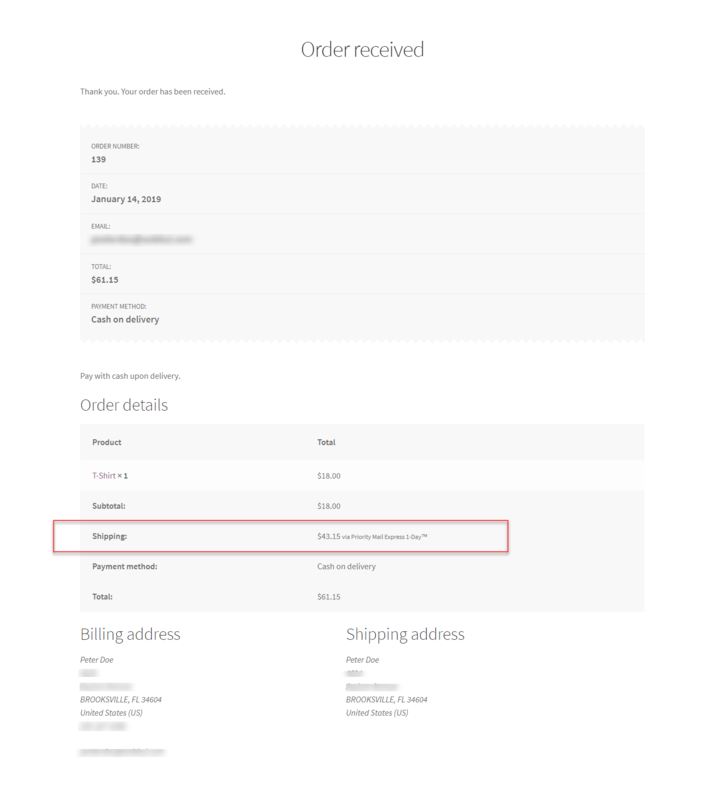 For this, the will navigate to WooCommerce > Settings > Shipping > Marketplace USPS Shipping as per the below image. USPS Username: enter the USPS username received after creating the USPS account. USPS Password: enter the USPS password received after creating the USPS account. Select USPS Domestic Services: Choose the domestic services provided by the USPS. Select USPS International Services: Choose the international services provided by the USPS. Machinable: Select Yes if want the package to be processed by Postal Service equipment. Else, select No. And, lastly hit the Save Changes button to save the configuration successfully. 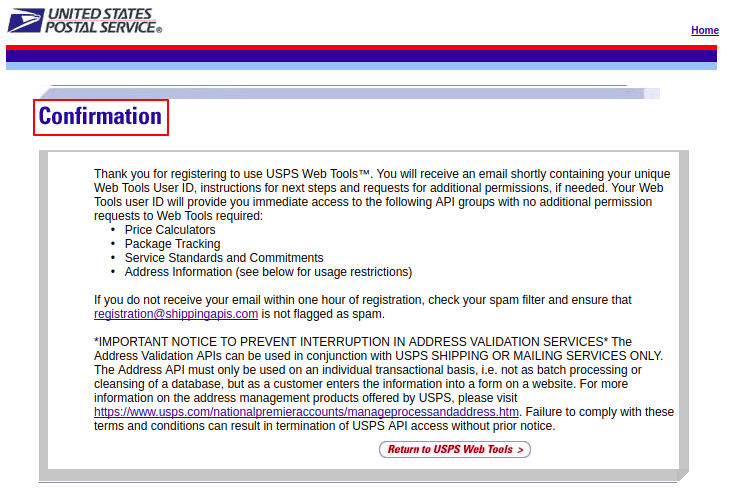 NOTE: The admin must create a USPS Shipping Account before configuring the shipping method. 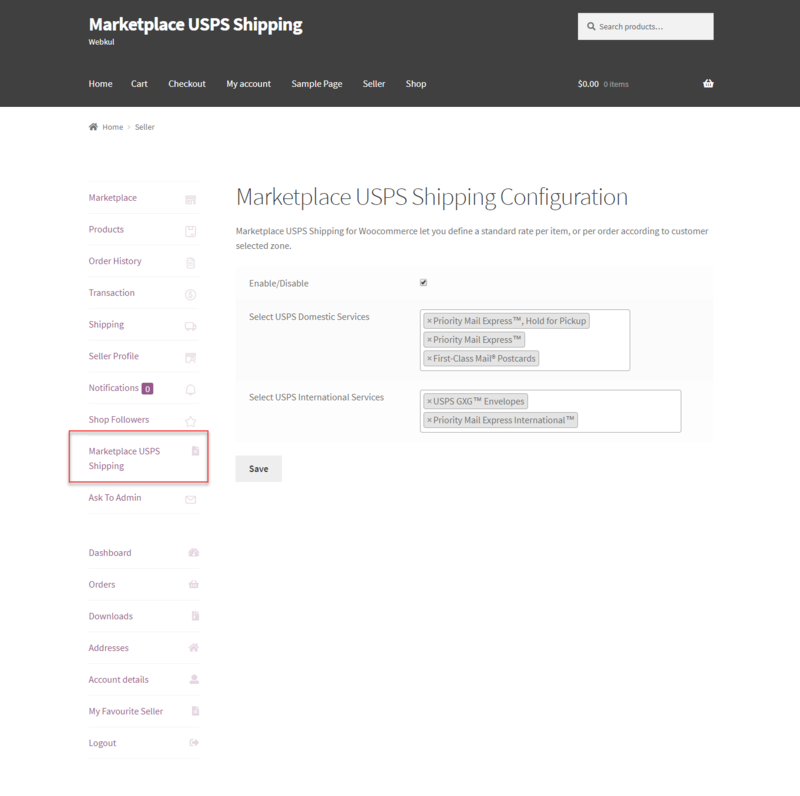 Now, the sellers need to configure the Marketplace USPS Configuration details. For this, the sellers will log in to their account. The sellers will click on the menu option “Marketplace USPS Shipping” as per the below image. And, lastly hit the Save button to save the configuration successfully. The customer can easily use this shipping method for their purchases. When the customers add the product to cart, they can see USPS Shipping method at the shopping cart page like the below snapshot. The buyer will select the USPS shipping method as per the choice. 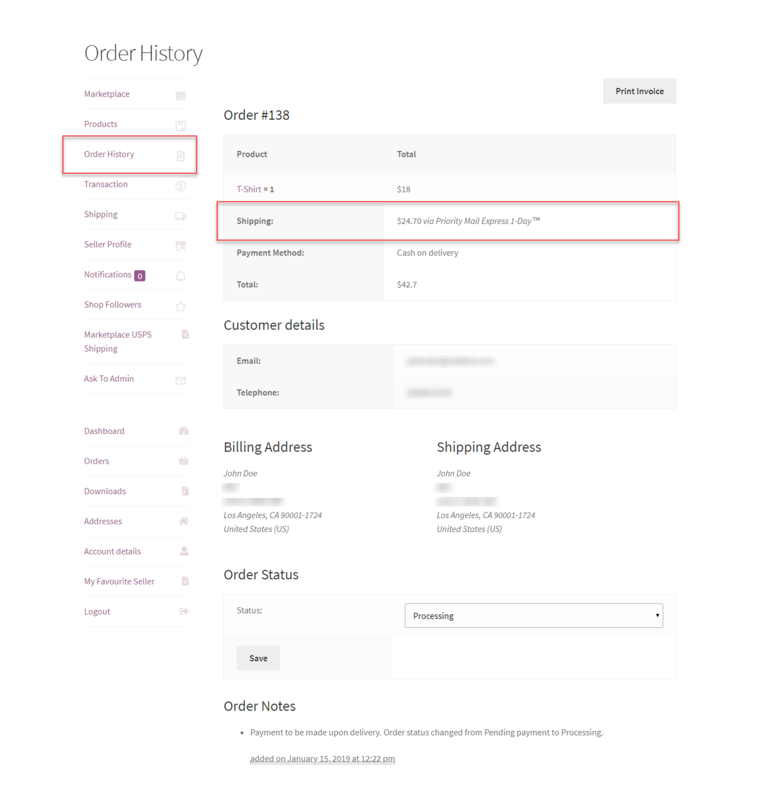 The buyer can see selected shipping method in order details. 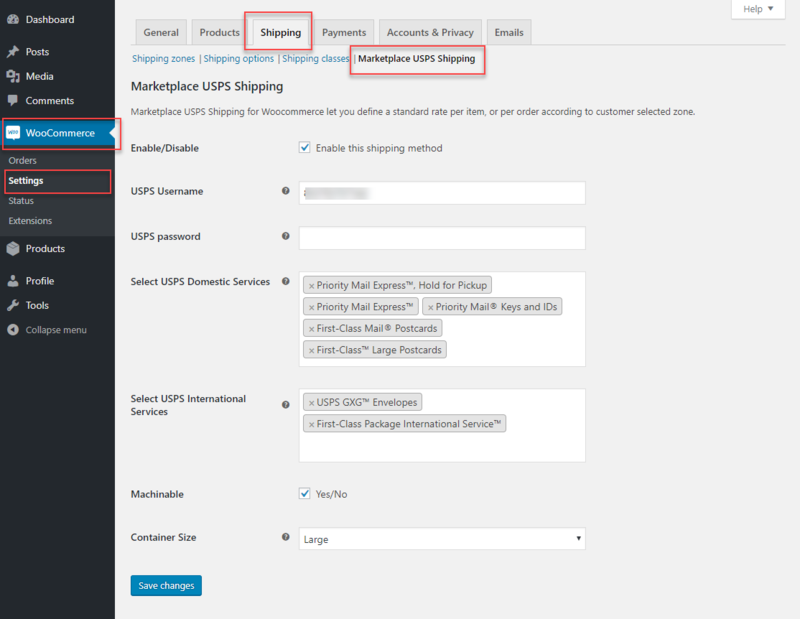 Note: In WordPress WooCommerce Marketplace USPS Shipping module, the Shipping rate will be calculated according to the Seller’s Origin Zip Code, Product Weight and the Buyer’s Destination Zip Code. The seller can also view and manage the orders for their products sold.